I travel quite a bit and yet I haven’t encountered this decision before: What should I pack for a business conference during the day and a swamp tour by night? 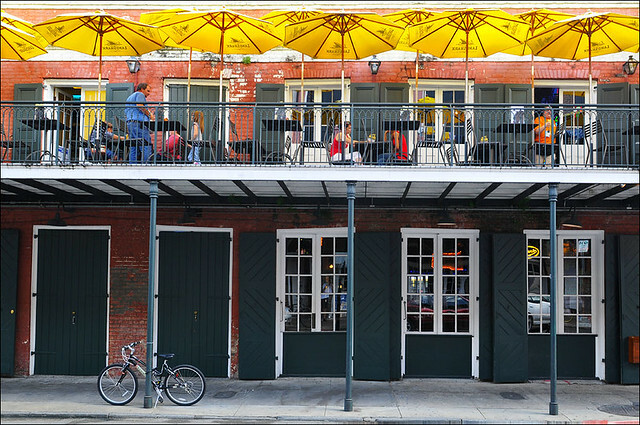 Next week I’m headed to New Orleans for the Sage Summit, featuring hundreds of sessions, 70 speakers, and endless networking opportunities along with some quintessential experiences in the Big Easy. I have been running a small business for the last seven years but the conferences I usually attend are about the subject of my business (WordPress, software, travel writing, blogging, social media) and not so much about the act of being in business or running your own company. I’m looking forward to hearing from an incredibly impressive and diverse lineup of speakers and panelists. Patrick Kelly from Canada Games Council, The Cupcake Girls (Heather and Lori), and Evan Carmichael. General Colin Powell, Deepak Chopra, and Stephen Kelly, Tony Hawk, Chad Hurley, Jane Seymour, Matthew Weiner, Trevor Noah, Baroness Karren Brady, Ron Buist (Tim Hortons), and more! For 35C heat plus humidity, conference panels and expo, and that swamp tour (or French Quarter ghost tour) I’m still not sure what to pack but I have a few days to figure it out. What I do know is that this is shaping up to be one amazing learning experience. The entire week will end with the closing riverfront party with recent MTV VMA nominee, and platinum selling artist, Walk the Moon. If you’re interested in booking a last minute trip to the Sage Summit, use promo code NOLA for $99 passes. Follow my posts throughout the week at @Miss604 #SageSummit and @Sage_Summit on Twitter. I have received compensation to attend the Sage Summit, as a social influencer. Views are entirely my own.